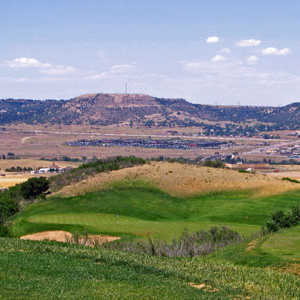 The 18-hole Castle Pines Golf Club in Castle Rock, CO is a private golf course that opened in 1981. Designed by Jack Nicklaus, Castle Pines Golf Club measures 7701 yards from the longest tees and has a slope rating of 147 and a 76 USGA rating. 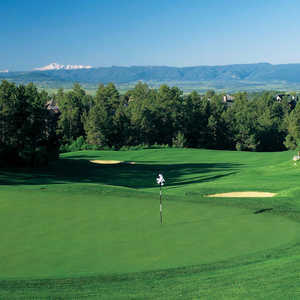 The 18-hole Country Club at Castle Pines in Castle Rock, CO is a private golf course that opened in 1986. Designed by Jack Nicklaus, Country Club at Castle Pines measures 7400 yards from the longest tees and has a slope rating of 147 and a 74. Pete Dye designed the layout at Plum Creek Golf & Country Club. 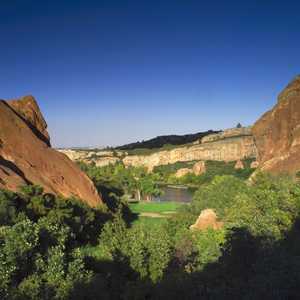 The golf course is a favorite of Castle Rock locals who claim that the final three holes are some of the most difficult in the state. The golf course sprawls over very hilly terrain, making it nearly impossible to find a level lie. Nestled in the foothills of the Rocky Mountains, Red Hawk Ridge sprawls across scenic hills covered in lush native grasses and abundant wildlife. The rolling terrain provides the layout with dramatic elevation changes and also spectacular mountain views from several points on the golf course. Located just south of Denver in the foothills of the Front Range, The Ridge at Castle Pines is carved from forests of oaks and ponderosa pines. The golf course's landscape is hilly with dramatic elevations that offer stunning views that stretch to Pike's Peak, Devil's Head, and Mt. Evans.